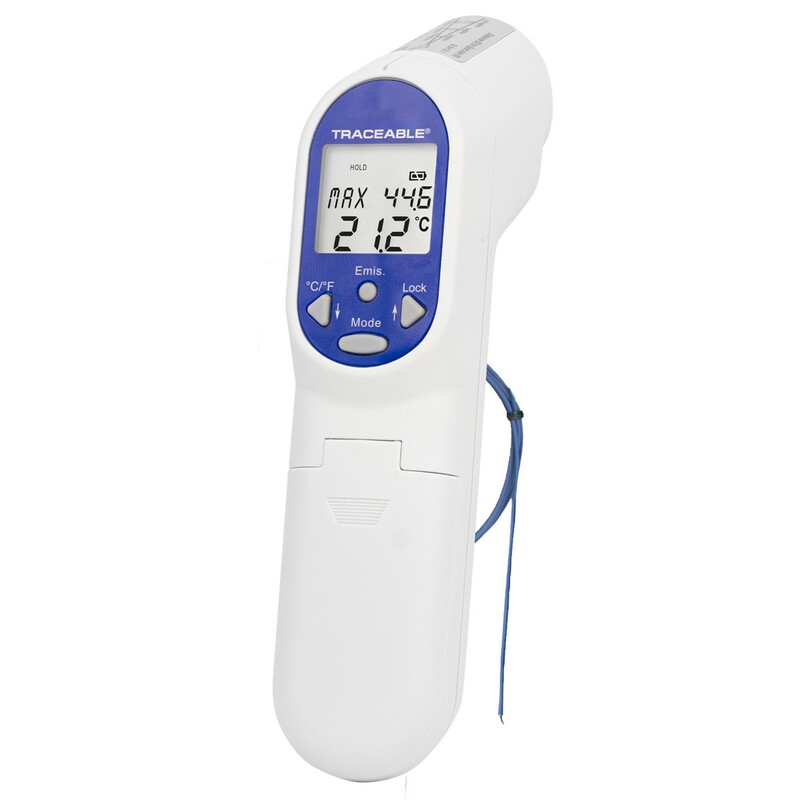 Traceable® Infrared Thermometer, operation is simple—turn on, point at sample, and take a reading in less than a second. Unit reads both Fahrenheit and Celsius of any surface—solids, semi-solids, and liquids. 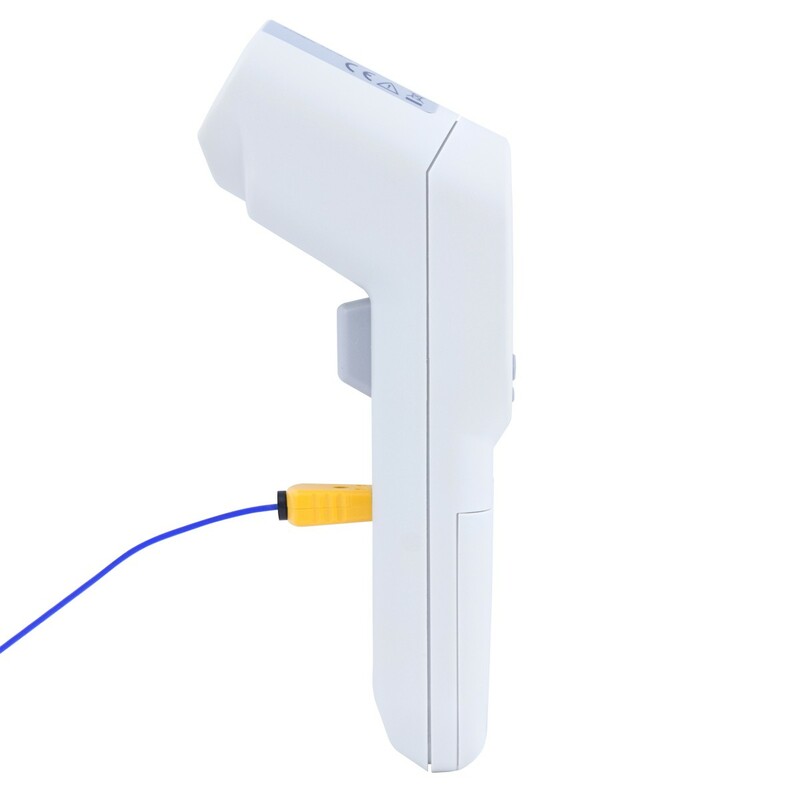 Non-invasive, no-touch, measurements are ideal for food preparation, life sciences, pharmaceuticals, petroleum products, clean rooms, electronics, and field use. Range using Type-K thermocouple jack is –83 to 2552°F and –64 to 1400°C. Back-lighting permits viewing in low light conditions. The dual display shows current temperature plus one of the following eight modes: emissivity value,maximum memory, minimum memory, differential, average (time weighted), high temperature alarm, low temperature alarm, and probe temperature. Thermometer displays the average of all readings made and the difference between two readings. Field of view is 12:1 (for example, at a distance of 24 inches the reading spot size is 2 inches). 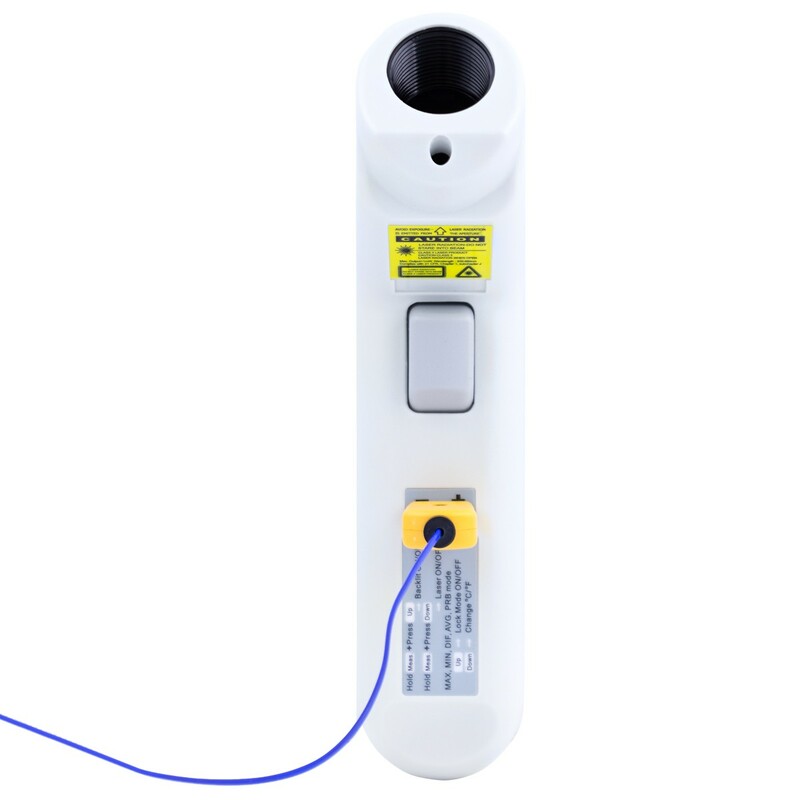 Type-K probe, batteries, and Traceable® Certificate.